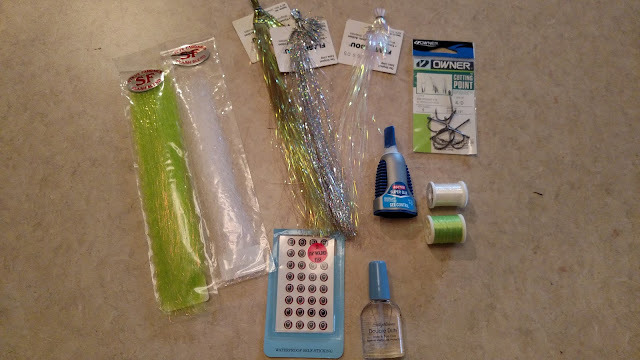 Step 1: Start your monofilament thread on the hook and run it to the back. 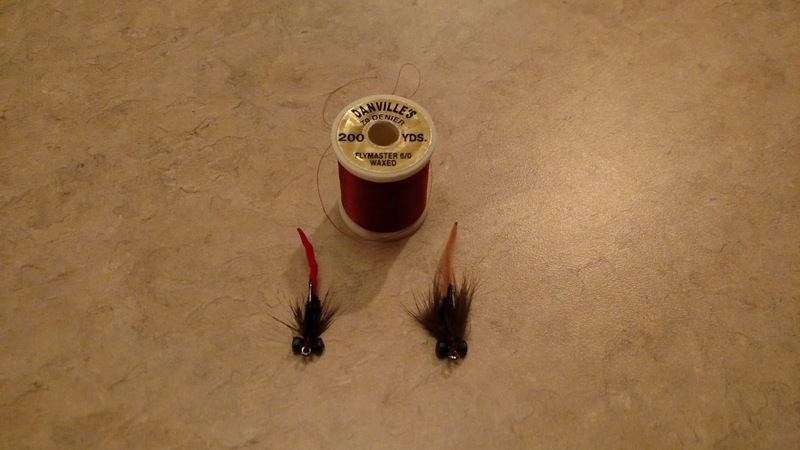 Monofilament thread is the best option for this fly because it lets the colors of the SF fiber show through. Step 2: Tie in 2-3 strands of flashabou in your desired colors in the midpoint of the material, then fold it back and wrap over it. This helps make sure the material doesn’t slip. Step 3: Take a thin clump of SF fiber in your desired color. Don’t use any more than what is pictured here. 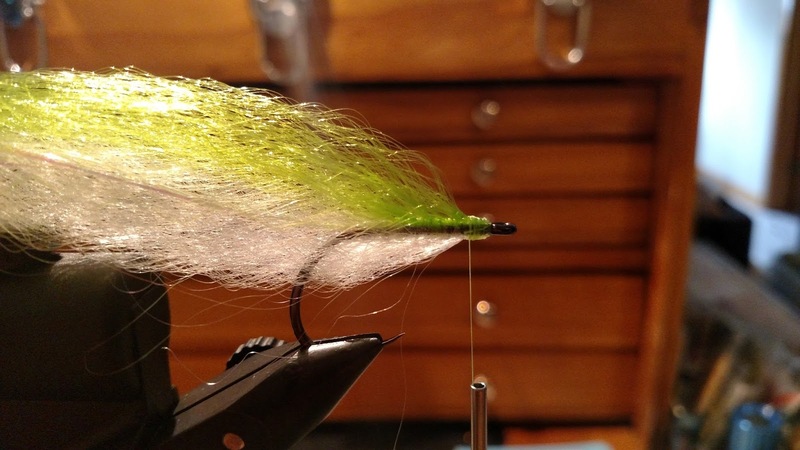 If you use much more than this, the fly will be very thick when finished and won’t fish correctly. Step 4: Tie in the clump of fiber in the midpoint like we did with the flashabou and fold it back just the same. It should look similar to what is pictured here. Step 5: It helps to have a rotary vise for this fly because you will have to flip the fly over after every step. 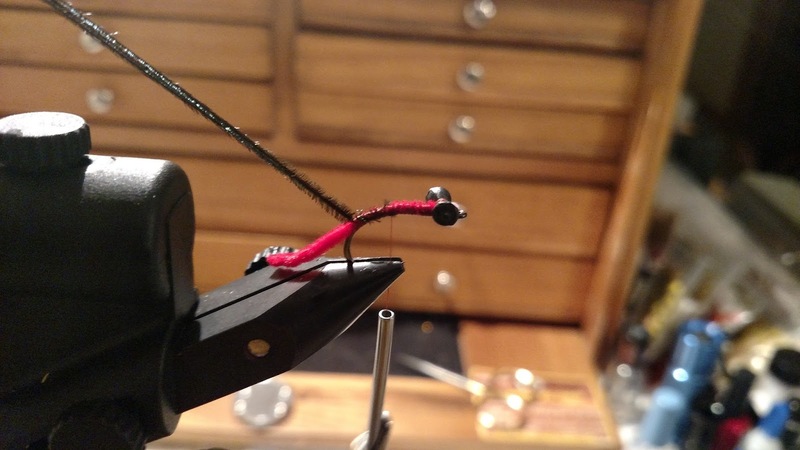 Invert the fly and repeat step 4 and work the material around the hook. 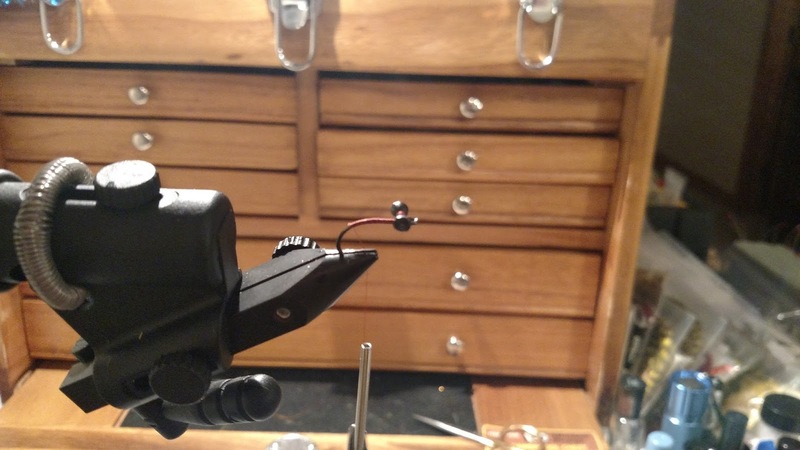 Step 6: Repeat steps 4 and 5 until you reach just behind the eye of the hook. 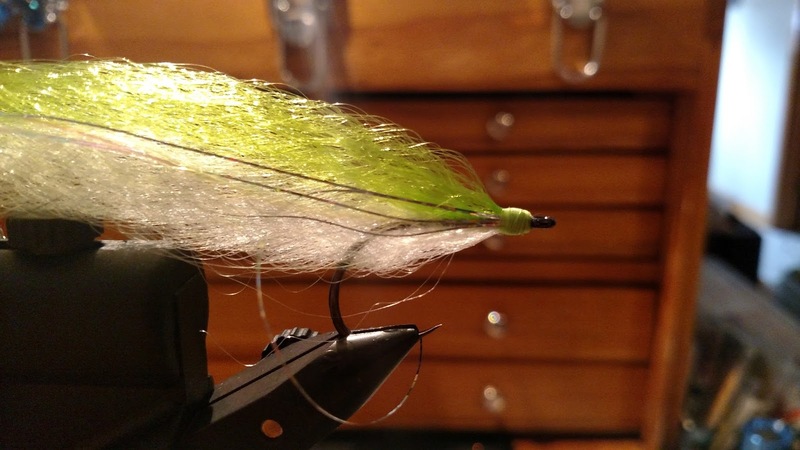 If you are planning on making a white bellied baitfish fly. I like to do all white material on the bottom and the first two ties of material on top. After the first two on top I begin tying in the color (in this case chartreuse. 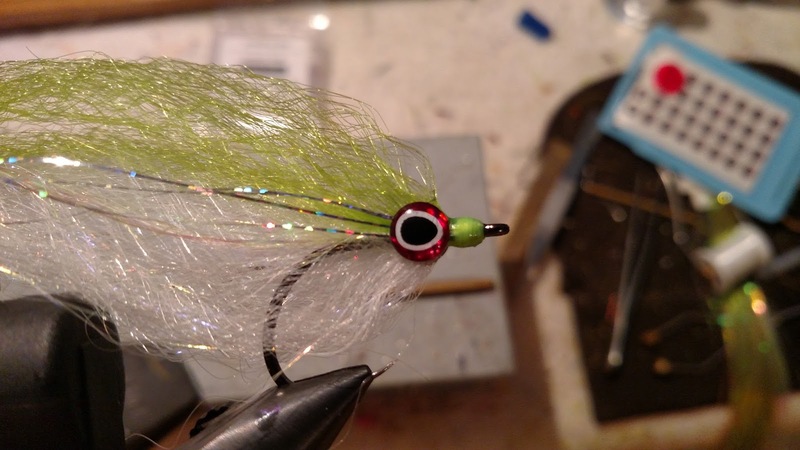 This helps make the fly appear more natural with just the right amount of color on top. 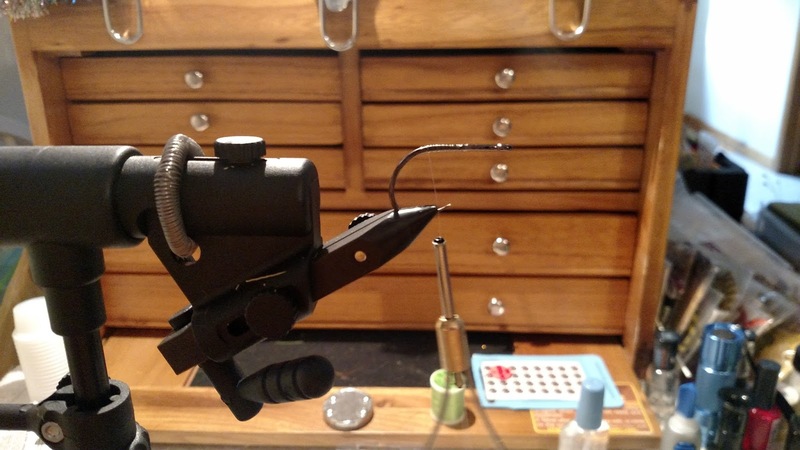 Stop your materials about an eye width back from the hook eye. Step 7: Whip finish off your mono thread. It helps to double whip finish this stuff because sometimes it likes to unravel. Add a dab of Sally Hansen and then start your colored thread right on top of the mono. 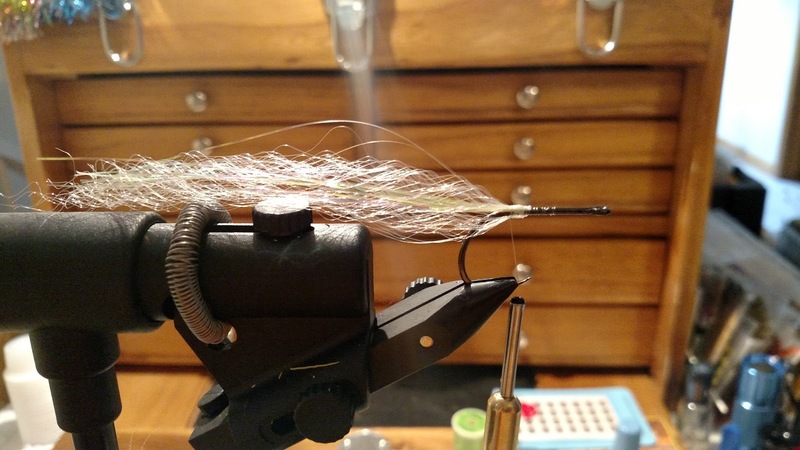 I like to use the thin thread here because it prevents a large build up. Step 8: Take about 4 strands of the holographic flashabou and tie them in in the center of the material on the near side of the fly right down the center. 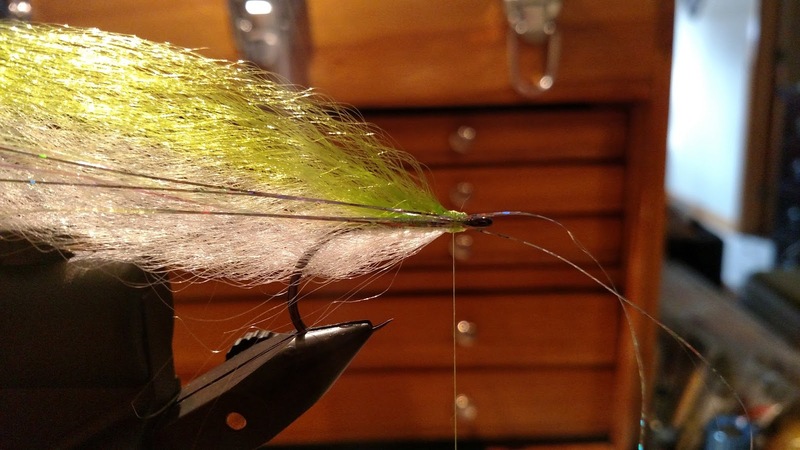 Then fold the material around the eye and run it down the center of the opposite side of the fly as well. 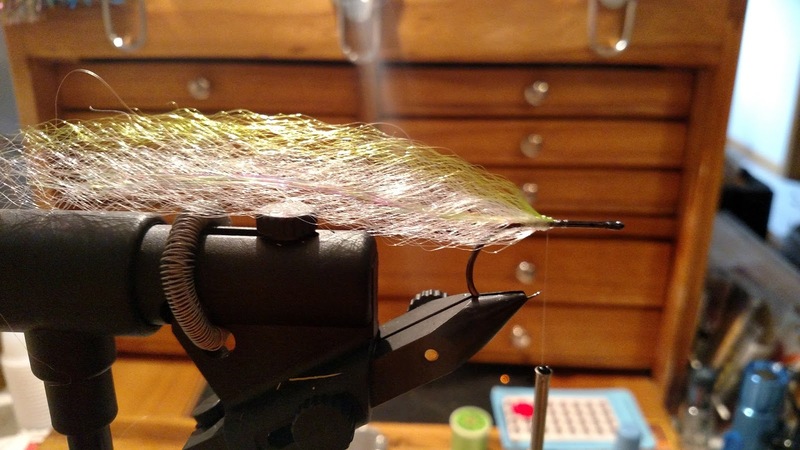 This flash line serves as the lateral line for the fly. 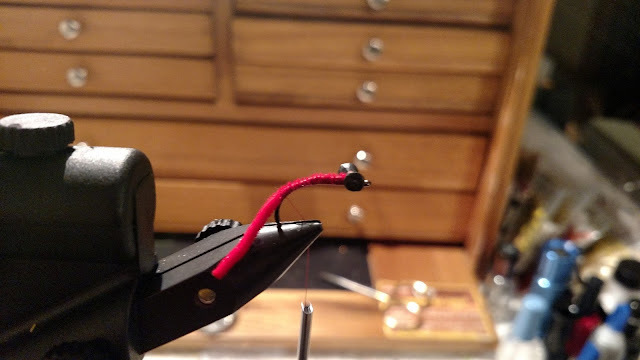 Step 9: After tying in the flash down the sides, use your colored thread to cover up the mono thread entirely, as well as the tie in point for the flash. 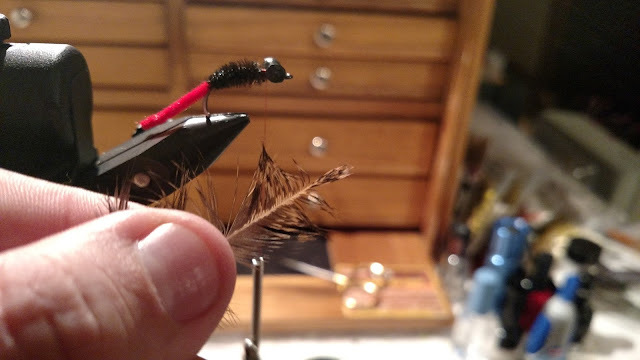 This builds a nice head that matches the top of the fly. Whip finish off and coat in Sally Hansen. Step 10: I find it’s easiest to turn the fly on its side for this step. Use a drop of Loctite Gel right behind the thread head, on top of the flash we just tied in. Then push your large 3D molded eye onto the drop. The gel Loctite works best because it doesn’t run while you are getting the eye into position. 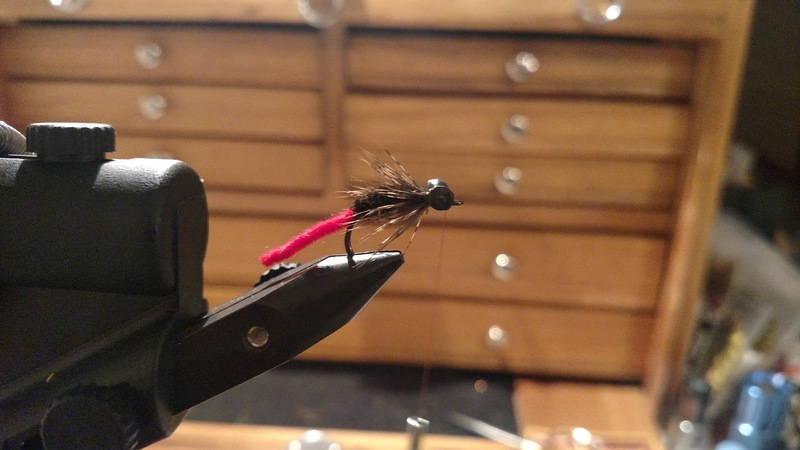 Repeat on the opposite side of the fly. I like to coat the thread head again with Sally Hansen and to make sure to get a little bit back onto the eyes. 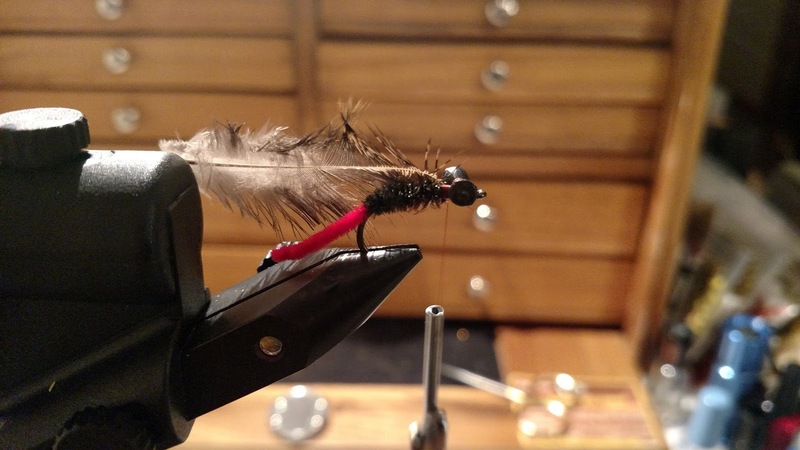 This helps the durability of the fly. 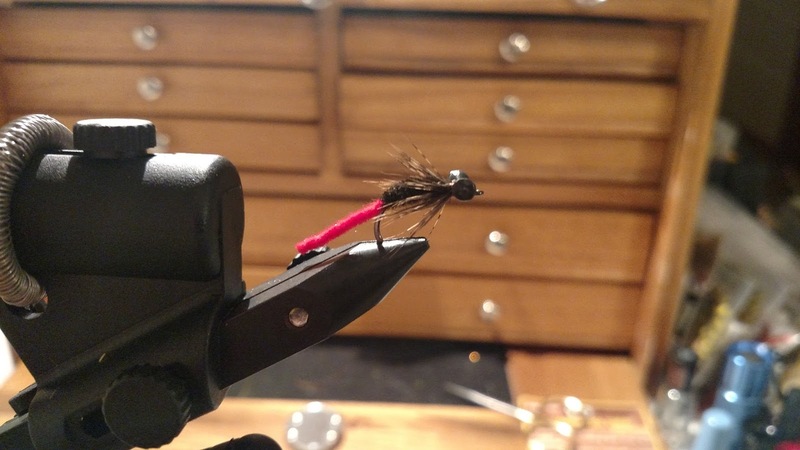 Step 11: Trim the fly to your desired shape. 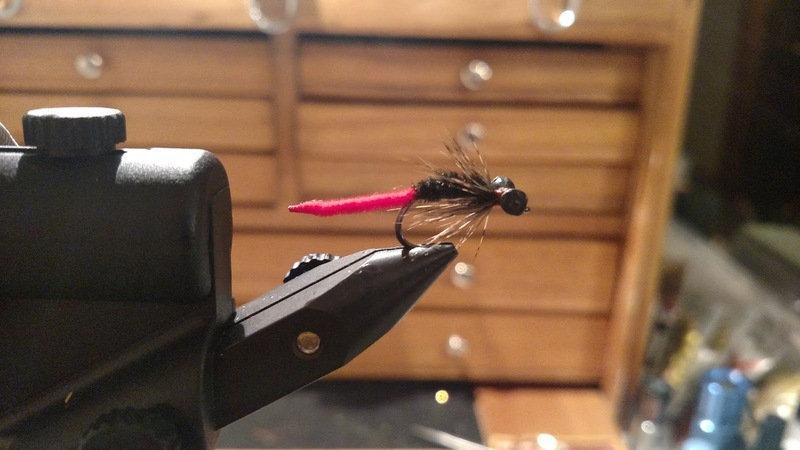 I like to round the top and bottom of the fly symmetrically while letting it taper off. 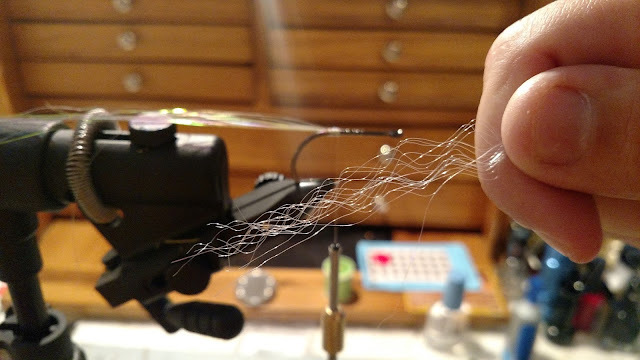 This is the typical size I tie these flies in. And that’s it! These flies can be tied pretty quickly after a little practice. They are very durable and have been responsible for bringing many species of fish to my hands! 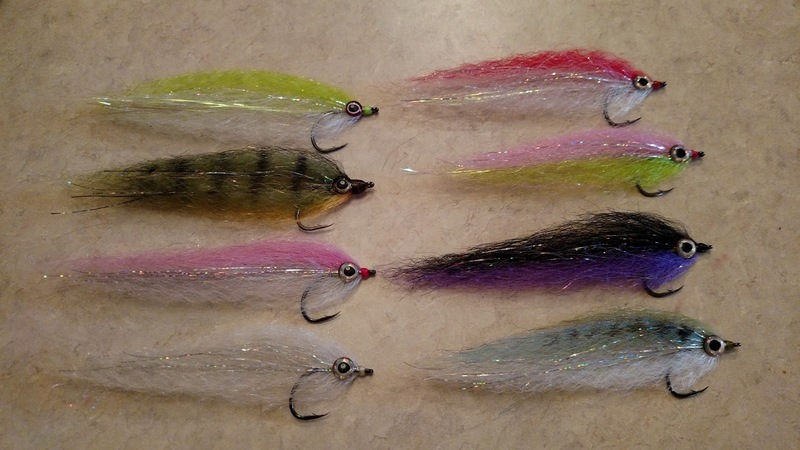 There are endless color combinations that you could tie these flies in to match just about any baitfish in any environment. You can trim the material to any shape you desire as well. 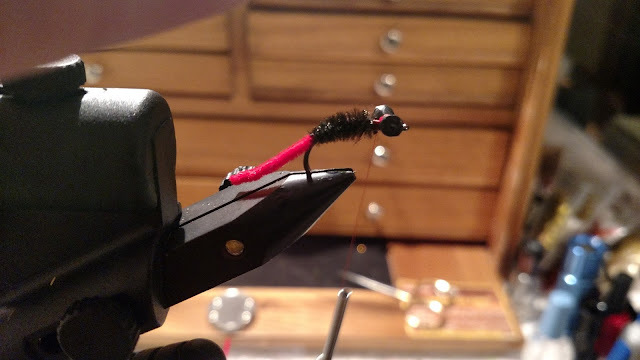 The SF fiber also accepts permanent marker very well and I like to add barring and dots to a lot of my flies. 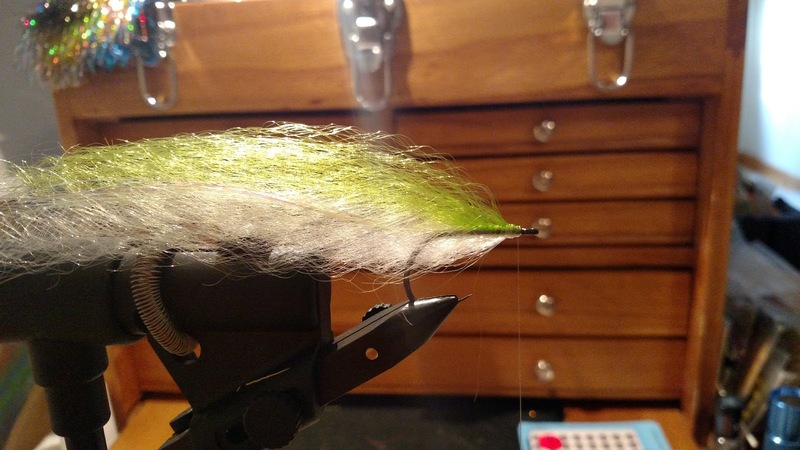 I have used this simple pattern to catch everything from Largemouth to Stripers and Redfish to even a few catfish. 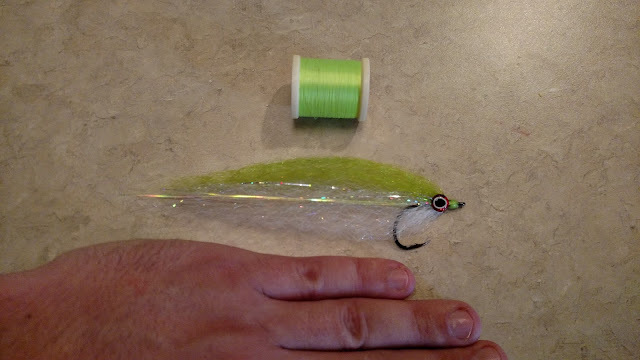 The material is long enough to where you could tie it in without folding to make flies large enough to target musky as well. 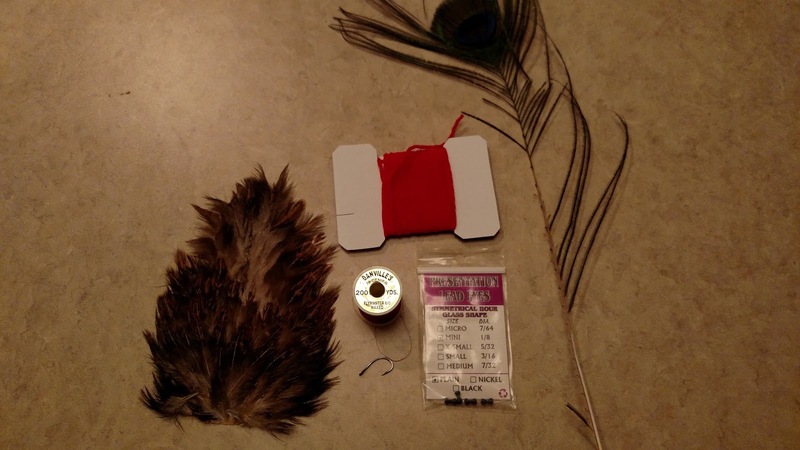 Just about any predator species will happily demolish one of these that’s cast into its home waters. 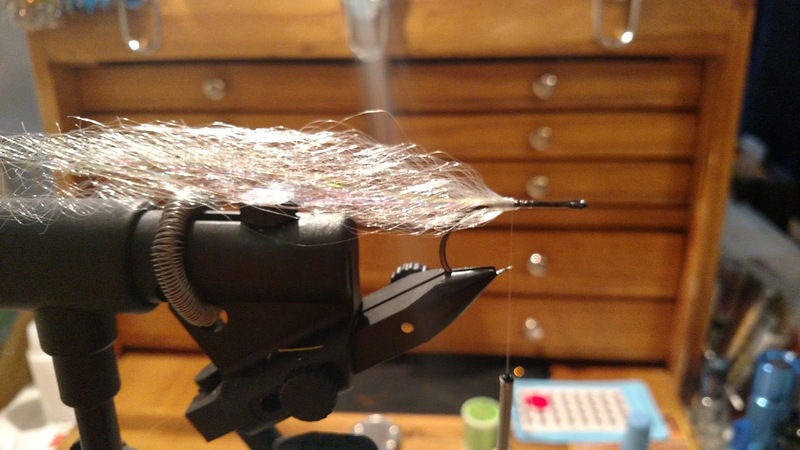 I hope this post will help you get creative with this easy to use material and create some really cool flies! Check out our latest video! A compilation of all of the great fish we caught on film in 2015. 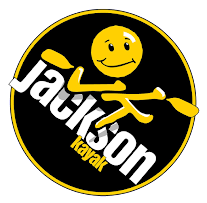 It was an amazing year, here's to an even better 2016! 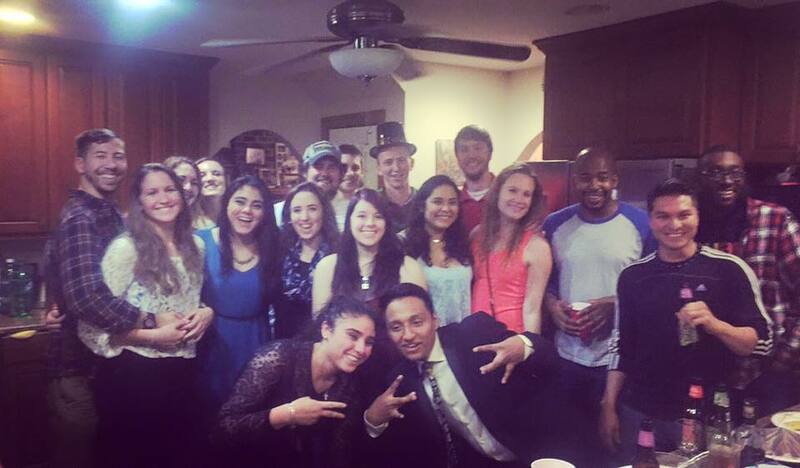 “You’re insane”- That was the common phrase coming from my friends at the New Year's Eve party I was at. I explained to everyone that I would be heading to the mountains once the party was over, no sleep for me in the forecast. 2016 would start the same way as many of the great trips of 2015 had went, with an all-nighter “suicide run” to hunt down one of the targets on my angling hit list. We all said our cheers as the clock struck midnight, but for me the hourglass had now been flipped; it was a race against the sun. I loaded up the gear and hit the road, burning down I-64 West to the mountains, windows down and fueled by 5 Hour energy. I arrived on the banks of a stream notorious for being the home of some monstrous Trout. Just as the sun peaked over the mountains I made the first of a few hundred casts that day. 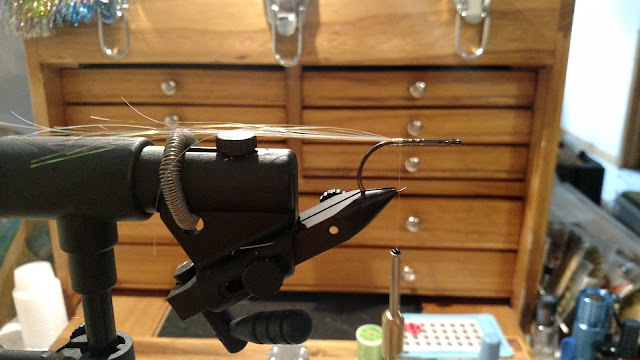 It wasn’t long before I felt a slight tug on my line, almost as if I had picked up some grass. My spinnerbait snagged what looked like a leaf, it turned out to be one of the coolest unexpected catches of my life, a small stone colored Sculpin. Sculpins live among the rocks in the swift streams of the Blue Ridge Mountains and are a favorite snack of big Trout everywhere. After taking a mid-day break I caught a second wind and powered through the rest of the day, picking off trout here and there. 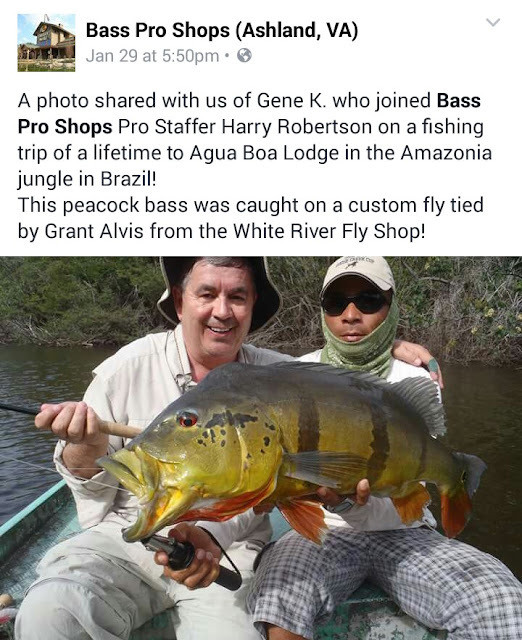 All average size fish with no giants up until that point. On what seemed like my thousandth cast of the perilously windy day the bruiser I came for showed up to the party. 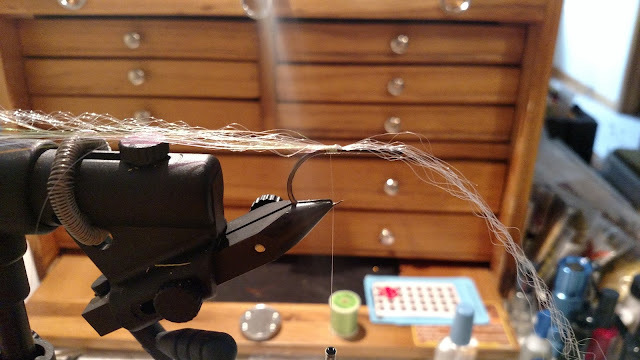 As I was about to pull my Joe Fly out of the water I got hammered, no more than a foot from the bank. The beast head shook back and forth, not wanting to give an inch. She finally got turned away from me and managed to make a few strong runs before I scooped her up into the net. January 1st, 2016 was a success. 36 hours straight without sleeping, a 4 hour ride into the mountains under the cover of darkness, 28 degrees, 15 mph winds, and a few hundred casts later I had captured what I had come for, a 17.50 inch Virginia trophy Brook Trout. I couldn’t have asked for a better start to the year, my 14th trophy species and my first trophy of 2016! Hopefully a good omen for what’s to come!